Headquartered in Greenford, England, Tetley Tea was founded in 1837 by Joseph and Edward Tetley and is the largest tea company in the U.K. and Canada. Manufacturing and distributing their products across forty countries, they are now owned by the Indian company ‘Tata Global Beverages’. For over 180 years, Tetley Tea has been providing quality and affordable products in Britain and around the world. Tea drinking in the U.K. began over 350 years ago and the Tetley family made the popular beverage a trusted and famous brand of their own throughout the years. 1822 – Joseph and Edward Tetley were brothers who sold salt from a pack horse in Yorkshire, England but soon started selling tea, which became a successful venture. 1837 – Setting up Joseph Tetley and Co as tea merchants, they became so popular that they relocated to Cullum Street in London in 1856, practically next door to the tea auction rooms, where they changed their name to “Joseph Tetley and Company, Wholesale Tea Dealers” when the brothers parted ways. 1871 – Taking his son, Joseph “Junior” into partnership, the Tetley business flourished and extended their services to blending and packing. 1939 – Tetley’s British representative traveled to the U.S. and brought back the teabag machines which became known as the “Grey Ladies.” These machines stitched 40 teabags per minute and were exported to overseas markets. 1953 – Tea rationing was lifted after WWII came to an end and Petula Clark recorded the single “Anytime Is Tea Time Now”, which was used to promote Tetley tea on Radio Luxembourg. The company began selling their teabags in Britain, being the first to do so in their native land. 1957 – Tetley Tea presented the drawstring teabag to minimize mess. 1968 – This company was selling 5,000 tons of tea per year by the late ‘60’s. 1989 – After surveying British tea lovers, they launched the round tea bag to enhance quality brewing. 2004 – The inclusion of fruit and herbal infusions in their line of teas soon led to the addition of green and specialty blends. 2007 – Pure Redbush tea was launched, sourced from rooibos leaves in South Africa. 2014 – An innovative Super Tea range was developed, which included exotic flavor infusions and added vitamins. 2017 – In keeping with market trends, Tetley Tea launched bottled tea, called Super Squash. Continuing to strive to provide fine blends for a perfect brew, this tea company also focuses on working towards sustainability for the environment and improved livelihoods for their farmers. One of the founding members of the Ethical Tea Partnership, Tetley Tea is committed to improving the conditions of their tea growers around the world. Using independent monitors who assess performance and adherence to guiding principles, they ensure that their products remain ethical and trustworthy. This company works closely with the Rainforest Alliance, believing that minimizing environmental impacts by using mindful farming practices is key in reducing their global footprint. Dedicated to biodiversity and sustainable practices, Tetley Tea sources all their botanicals from Rainforest Alliance certified farms. To see how this tea company’s initiatives impact the farmers and the environment, you can visit the ‘Farmers First Hand Facebook page’, where you can interact directly with the tea growers, who love to receive messages from those who drink their tea. Tea 2030 is a coalition of some of the largest tea companies, including Tetley Tea, with sustainability organizations and academic groups who identify the long-term impact of the tea industry. They work together to create solutions and to ensure a stable global market for tea lovers everywhere. Ranging from basic black tea to delicious infusions, this tea company is known for affordable and reliable products that are well-loved around the world. Purchasing millions of pounds of tea each week from up to 35 countries and 10,000 different tea estates, they produce quality blends that continue to evolve over the years. This classic black tea is created from premium black tea made from orange pekoe, producing their signature blend that was a Chef’s Best Excellence Award Winner in 2018. With a deep amber color and a rich, smooth taste, this basic black is a go-to cup for a great start to your day. 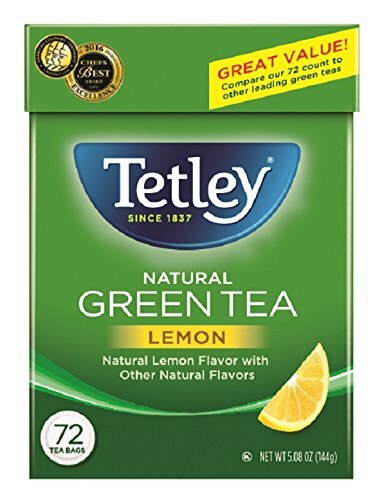 A delicious green tea that uses a centuries’ old Japanese technique of steaming immediately after picking, which creates a pure and fresh flavor enhanced with mild, sweet lemon. Enjoy this light and refreshing tea either hot or iced, without worrying about the usual bitterness associated with green varieties. 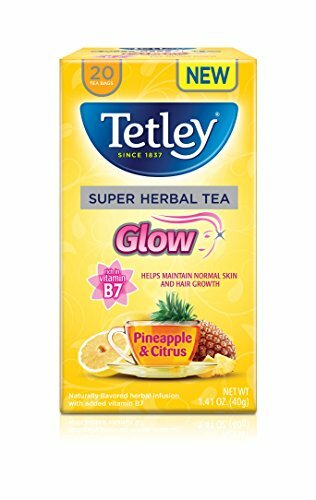 Tetley’s Master blenders have infused smooth herbal tea with pineapple, citrus and vitamin B7, resulting in a refreshing and zesty beverage that is also delicious when iced. Voted as Product of the Year in 2017 by Consumer Survey of Product Innovation in the Beverages Category, this tea is healthy and supports every day well-being. 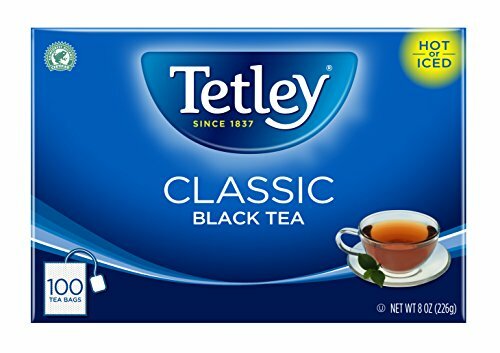 Tetley Tea has been a trusted company for over 180 years, now selling decaf and caffeine free varieties as well as black iced tea. Their website also has a large offering of tea inspired recipes and information on healthy teas, which is a far cry from their humble origins of selling salt from a pack horse in Yorkshire so long ago.